Explores the roots of racism in Canada, focusing on the riot which occured in Toronto in the summer of 1933. Using eye-witness acounts, dramatization and archival film, shows how the widespread intolerance of the white British majority toward immigrants of any kind, and particulary Jews, combined with the desperate economic hardships of the Great Depression to ignite a riot of violent anti-semitism. 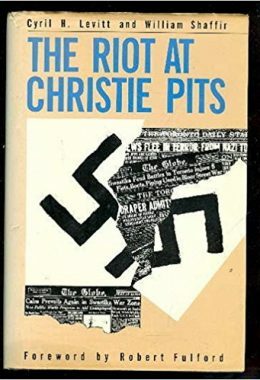 At the end of a softball game at Christie Pits between Jewish and Gentile teams, a swatstika flag and shouts of “Heil Hitler” began an eight hour rampage eventually involving a mob of 10,000.